Christmas itself was quiet – those we’ve come to think of as “the usual suspects” were the only people staying on the campsite, and we just spent a day of eating and drinking (as ever). Quite how we managed to fit so much food into the van’s fridge, I’m still unsure – but it seemed to fly straight back out again. 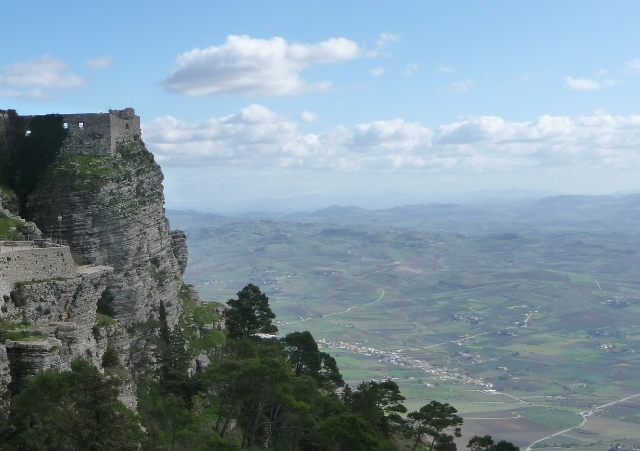 We finally got around to heading up to the lovely hilltop town of Erice, visible from a good chunk of this end of the island as it sits high above Trapani. The cloud came and went, rolling down the street as we sat having lunch, but the views were superb, stretching as far as Mazara and the sea off the south coast glittering in the sunlight. 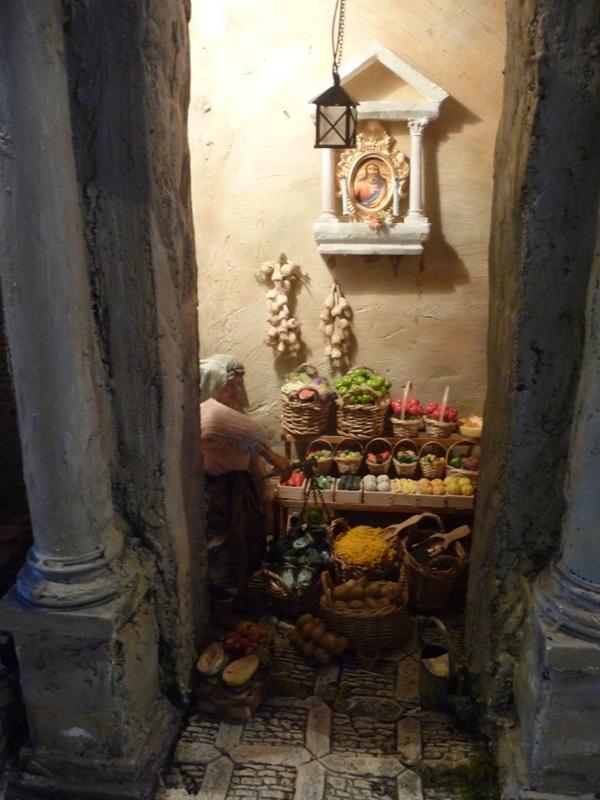 Entertainment was provided by another Christmas market, with small huts in a couple of the town squares, and a wonderful series of animatronic tableaus – both nativity and local-life-in-times-past – in a small courtyard. Before we knew it, we needed to head to the airport to collect my mother for her week’s holiday. We’d spent just over a month at La Pineta, and it proved to be the right choice. We still don’t think the perfect campsite exists, but this one’s definitely a chunk closer than most, with a really good blend of facilities on site and proximity to a town with decent food shopping. This entry was posted in By Country - Italy, Travel stuff. Bookmark the permalink.